Businesses come in all shapes and sizes, from cleaning companies to holiday rentals and everything in between. It used to be the norm for businesses to advertise locally in newspapers and magazines, as well as through their reputation and previous clients. However, in recent years, the internet has become number 1 in the advertising sector. For services and products, the Yellow Pages and other directories are no longer the first port of call. With search engines like Google and Yahoo, people can find what they are looking for at the click of a button. Technology is continually advancing with products such as smart phones, and services like Wi-Fi, making it easy for people to access the internet wherever they are. When you’re walking through a shopping centre, eating in a restaurant or even when you’re sitting on the bus, the internet is available for your online needs! With so many businesses competing and offering the same services online, how can you make yours stand out? Creating a website is the best way to have all of your business’s information in one place. Those interested are able to see your products and services, as well as a way to contact you. With a unique design and professional layout, your website can really make a difference to your bank account. Using eye-catching images and a great color scheme helps to entice customers and clients. If the thought of creating or designing a website is putting you off, there are many websites out there available to help. 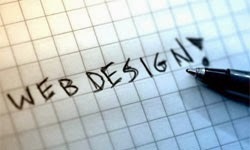 These websites, such as http://www.webeden.co.uk, offer support to those who are not confident in web design or are lacking knowledge in all things technological! Web design skills are not a factor with this easy to use website. Using tutorials and step-by-step instructions, Web Eden enables anyone to create a website for their business. There’s also a support feature if you need help along the way. You may be wondering how your website will compete with others in the sector. Web Eden offers a great service which enables your business to be featured on over 100 search engines and guarantees an improvement in your rankings. That means when people are searching words that are related to your business, you’re guaranteed to be one of the websites that is displayed. What are you waiting for? Create your business website today and see your popularity rise.